There is only one letter "O" in the Access Code for your Connect for Education hosted course. The letter "O" occurs in the beginning of the code. Any other similar characters are the number zero. QuickTime may be necessary to load certain audio and video files. It is not the same as iTunes. If you cannot load an audio or video file in your Connect for Education course and are being told that iTunes does not support it, you likely do not have QuickTime installed. 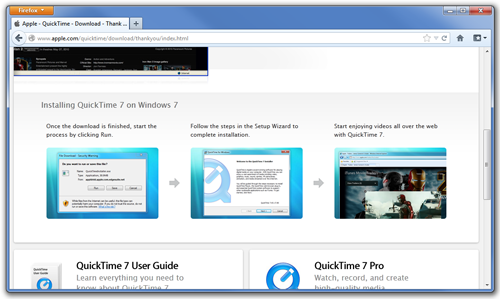 QuickTime comes pre-installed on all Apple computers, so Mac users will likely not need to have to install this. QuickTime may come installed on some PCs. QuickTime is free to download by visiting http://www.apple.com/quicktime/download/. The installation process is very straight-forward. You are not required to enter your email address. You can simply click the Download Now button.